An increase in horsepower, may will require more stopping and slowing down power (depending on where and how you are driving). 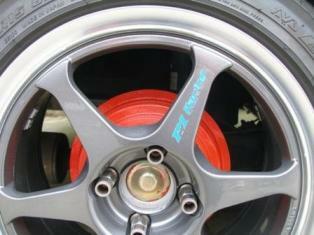 This performance brakes article may help you with your upgrade options. Upgrading your brakes is one thing that some people seem to forget to do when modifying their car beyond the standard cars braking capabilities. Let us be clear here, we’re not talking just about fitting larger brakes here, but the effectiveness of reducing brake fade. Fitting larger performance brakes may not necessarily help if you end up either locking your wheels into an uncontrollable spin/slide/skid or not have the correct braking material for the type of use they were designed for. Also larger diameter brakes may require larger diameter wheels (see my wheel guide) and all sorts of suspension/steering geometry adjustments may also be required. Your cars weight also makes a difference to the upgrades you may want to make. Note – It is your tyres that stop the car, the brakes stop the wheels from rotating and with inadequate tyres your car will just skid (see our tyre guide). And don’t think that ABS will always help, as they will still skid. 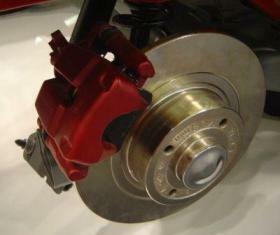 The job of the brakes is to basically convert the kinetic energy (moving energy) into heat energy, using friction. However, enthusiastic braking can cause brake fade from this build up of heat, which will reduce the effectiveness of your brakes. Your car will have larger disc brakes on the front than the rear or even drum brakes on the rear and disc brakes on the front. The reason for having more powerful brakes at the front is because when braking, your cars weight will be transferred to the front of the vehicle and therefore at the same time the rear end will become lighter. More powerful brakes at the front help to cope with the increased weight and less powerful ones at the back with the reduced weight will avoid the possibility of rear wheel lockups. 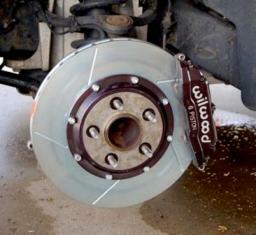 Poorly maintained brakes and its components can cause brake fad to happen earlier. Add to this an ineffective braking system, such as worn pads, warped disc’s, insufficient brake fluid and leaking or perished brake pipes, then you don’t need to be a genius to work out that you may not be able to stop when you most need to (in an emergency or going down a hill for instance). First thing to do to counteract any brake fade or braking inefficiencies, is to make sure that all your braking components that are not going to be replaced are in tip top condition. Then look at the following upgrade options. If you have modified your car for performance, you may suffer from brake fade from insufficient cooling, inadequate brake pads/shoes, discs/drums or calipers. 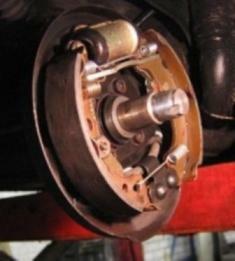 Upgrading your brakes with good performance brakes can reduce brake fade, by improving friction and/or providing a greater area for braking. 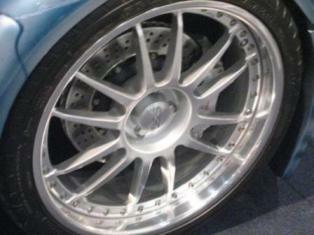 Older cars and even some newer cars have drum brakes (mainly at the rear). 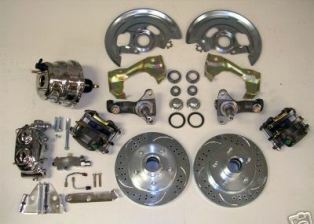 There are a few things that can be done to improve the efficiency of your drum brakes. You can replace the original outer drum with finned drums, which help with heat dissipation, add to this, carbon-metallic shoes, which will increase friction against the drums and resist heat build up better than standard shoes, then you have improved your braking ability and heat reduction. One other method we have heard of, is the drilling of holes in the drum (by a professional, who knows what they are doing), the holes are positioned and drilled in such a way that they help vent air in and out by way of the rotating force of the drum, as well as letting the brake dust escape. Of course you may have the option to have a drum to disc conversion kit fitted. 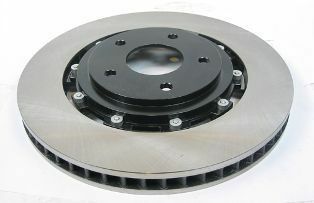 These performance brakes are available for many cars, but be warned they can be very expensive and a nightmare for the novice to fit. Disc brakes were patented by Frederick William Lanchester in Birmingham in 1902, however they weren’t widely used until the late 1940’s/early 50’s. 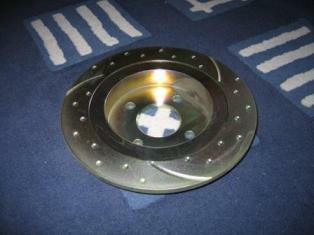 It is advisable to get well made aftermarket discs, as many are poorly made and will not last very long. 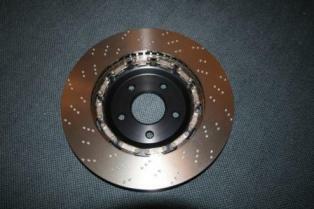 Below is a list of various types of aftermarket discs. Most performance cars will already have some type of performance brakes fitted, even some lesser cars will have vented discs as standard. They have a centre bit (looks like 2 separate discs stuck together) that allows the air to be forced around the disc as it rotates, therefore aiding in the cooling of the disc. They are also by way of structure and design stronger than non vented disc’s. Many aftermarket discs will also have this as part of their design. Helps with water, gas, heat dissipation, as well as dust removal. Racings cars as far back as the 60’s, have used crossed drilled discs, however they now tend to use slotted disc’s (see below). Cross Drilled disc’s can suffer from stress cracks around the holes and some of that brake dust an collect in the holes as well. 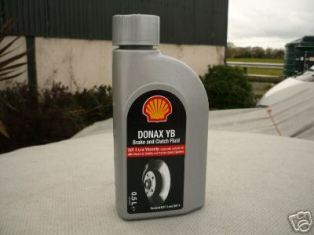 Helps with some water, gas and heat dissipation, as well as dust and deglazing of brake pads. 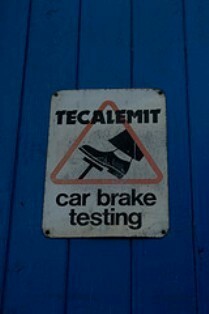 Used by racing cars for their ability to remove the brake dust. They are noisier than the others due to the pads being rubbed by the grooves. Helps with water, gas, heat dissipation and deglazing of brake pads. They are similar to drilled, except that the holes don’t go all the way through the disc, they are just dipped below the surface of the disc face. These tend not to suffer from stress cracks like the drilled discs and still provide excellent improvements over the standard discs. Disc’s that are both drilled and grooved are also available, with all the benefits and downfalls of both. Discs that are both dimpled and grooved can be bought in combination as well. proper braking use. Although you can get—–High Carbon Cast Iron Discs. Uses carbon fibre, reduced weight, tolerates high heat. With the combination of high excessive heat and brake pad misalignment disc’s can become warped. 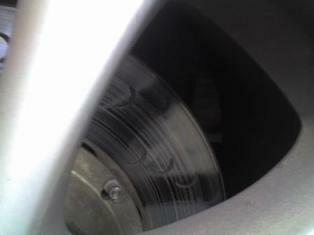 This is normally caused by a sticky/stuck brake caliper or a very hard foreign body trapped between the disc and pad. 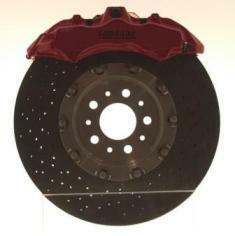 Be aware that many aftermarket discs will increase brake pad wear, due to the extra friction created by their design. If you want to go potty, how about upgrading to a set of 4 or 6 pot calipers. You could even go for an 8, 10 or even 12 pot calipers! The more pots used, the more evenly the braking pressure is spread over the disc, therefore reducing the stress on the disc and the pads, as well as reducing any vibration. 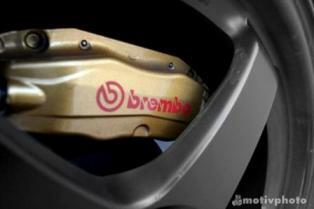 And of course they increase the braking performance as well. Aftermarket calipers are also generally made from aluminium, which apart from the weight saving, dissipate heat better than cast iron ones. 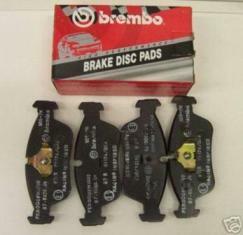 Performance brake pads can reduce brake fade and provide increased friction. They are made from various material compounds, with various operating temperatures. Therefore it’s worth noting that some of the compounds (high temperature ones) require a certain temperature to be reached to work efficiently and light cars may not be able to generate enough heat to get them to work properly. Even heavy and more powerful cars will have to be aware that high temperature pads will not be much use when cold (don’t get carried away here). Most performance pads are made of a much softer material than standard pads and there will be a trade-off between performance and pad life. 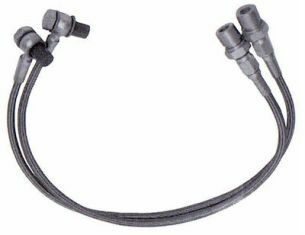 Braided hoses can be of benefit, in that they can increase pedal feel and pressure. They last longer and do not expand as much under pressure like rubber hoses. They also look nice on a show car. If you’re feeling rich, have a look at a brake kit, they generally have all you need and what’s more they are all designed to go with each other. However if you have a light car it may not be necessary to go this far. These kits will mainly benefit highly tune cars and cars that will be used for track days. Conversion kits are ideal for the classic performance car owner who doesn’t mind altering their car and wants more stopping power, especially as many will want to take their car on a track day or 2. Many kits will come with larger discs and as we said before, you will probably need larger wheels to accommodate them, this may create other problems with your steering/suspension geometry – make sure you get professional advice first. As far as performance brakes go these kits/conversions are the ultimate for those looking to go racing (on a track), but they’re expensive and not always necessary. You may also find that if you are upgrading a lower model car that you could get larger brakes from a higher model version of your car with little work needed. Look at your suspension setup. There may now be an increase in load transfer from the rear to the front when decelerating, lowering the cars centre of gravity will help, see our suspension guide. Be aware that upgrading your brakes when you have electronic controls may affect the way they calculate the changes they have to make when braking – seek professional advice for your car. It all depends on your cars use and each car will be different. Just be careful and don’t go overboard. 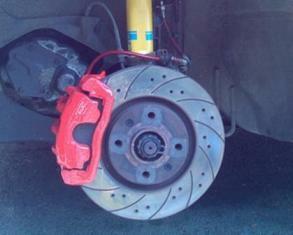 Seek professional advice for your car when adding performance brakes.